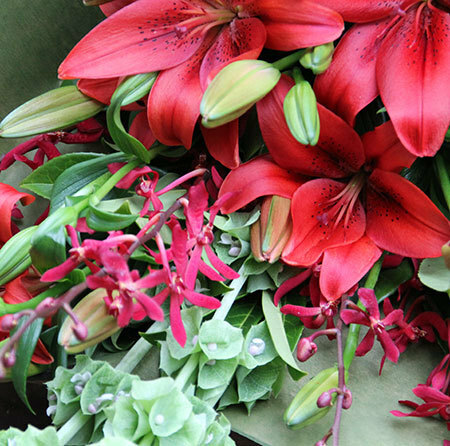 If you have received a tick in Santa`s `nice` box for the year this beautiful bouquet of festive red lilies and spider orchids may just have your name on it. Red is a lucky colour and whomever receives this fresh flower delivery for Xmas is too (lucky that is!). Accented with bright lime Bells of Ireland and lush foliage, this Xmas bouquet is the perfect gift to add a splash of colour and cheer into the home. 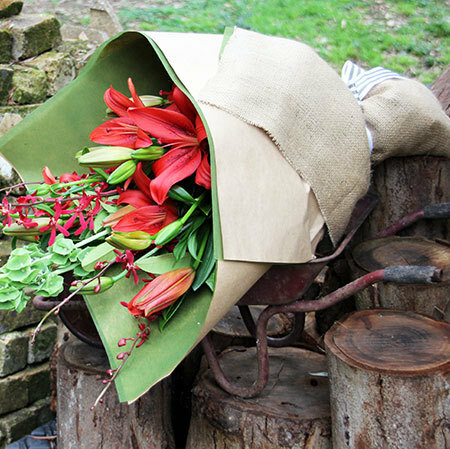 To send Xmas flowers simply place your order via our online florist shop or give our helpful elves a call toll free on 1800 66 66 46. 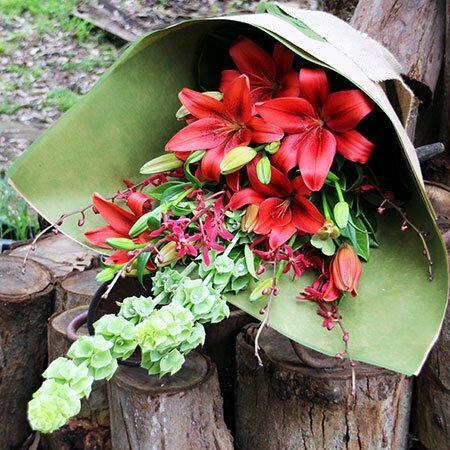 *Please note: The pictured bouquet and presentation is exclusive to Sydney deliveries. 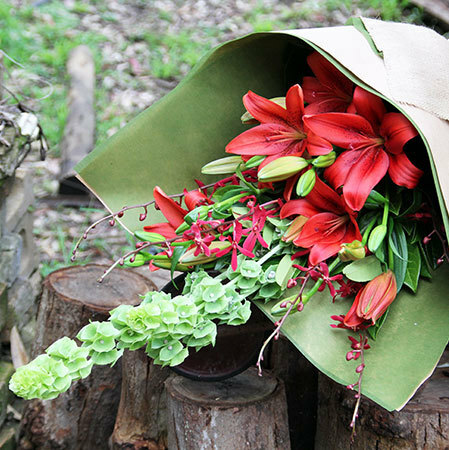 For flower delivery outside Sydney, our team will coordinate your order with an affiliate florist network to resemble this colour, style and presentation as closely as possible.